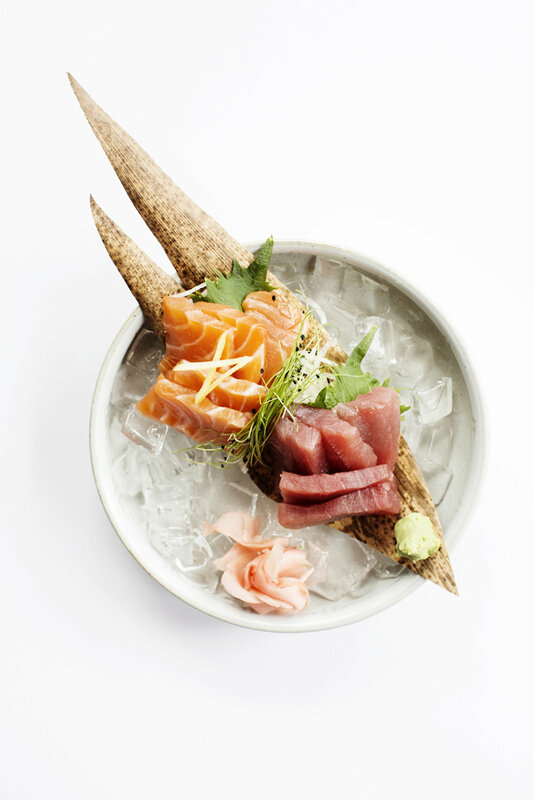 Chefs John Ng and Lina Goh bring an artful eye when creating concepts for their restaurant, Zen Box Izakaya. John sits down and sketches every idea before translating it into a real dish. Because of this special attention to every detail, the food and drinks at Zen Box are always presented so thoughtfully. This restaurant has been open for 10 years, so it was important for us to highlight the story of craft and community. It is John and Lina’s mission to bring the culture of Japanese izakaya to Minneapolis. Even though there is a slow, methodical and intentional way of cooking the ramen broths and other dishes served at Zen Box, the lively restaurant runs at a chaotically fast pace during service. We wanted to make sure and capture the juxtaposition between what is happening behind the counter and in front of it. During their full-day shoot, our photo and video teams worked alongside each other to capture the unique menu items, specialty cocktails and the different energies between the food prep and bustling service time. Among other press, the photos and videos from the shoot have helped accommodate a cover story in March 2018 for Mpls-St. Paul Magazine. The images and motion reel continue to support their website and social media. “The Restaurant Project provided us with a catalog of tantalizing images we can confidently share with our future guests that we pull pictures from regularly." “We knew we signed up for gorgeous pictures of our food—and the Restaurant Project certainly delivered. But we didn't expect them to capture the lively izakaya atmosphere we foster on a nightly basis. On the night of the shoot, they managed to magically fall in step with the rhythm of a busy dinner service without disrupting our flow. "